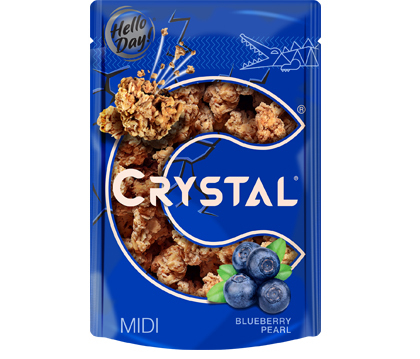 CRYSTAL® is a synonym of guilt-free indulgence. The way CRYSTAL® crushes under the teeth creates an unforgettable experience. The philosophy is simple: nutritious and premium ingredients, from naturally high fibre, being source of vitamins and minerals whole grain oats, to juicy blueberry, smooth chocolate or aromatic vanilla, turned into cracking jewels. The taste is just unforgettable!